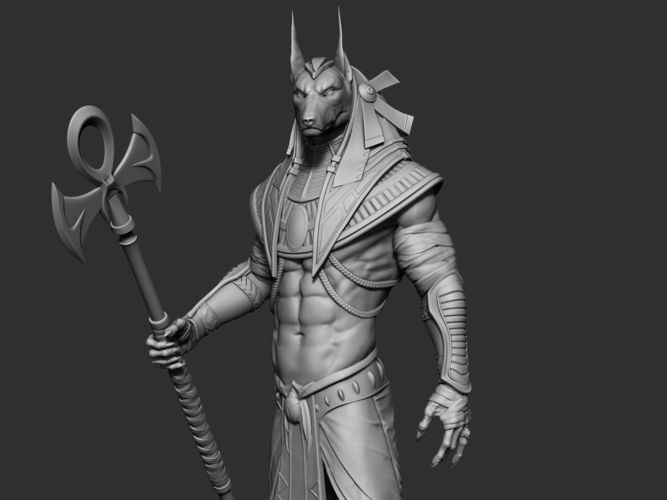 Watertight 3d printable model of Egyptian God Anubis. Model created in Zbrush and has additional file formats and versions. Available formats and their features: -ZTL; Splited on tree subtools(Anubis, stick, pedestal); -OBJ; Version with merged stick and pedestal; And all this parts separately; -STL; The same as obj; Total polygon count of all parts: Polys: 1,852,584 Verts: 925,429 Model is scaled, the size is around 22cm tall with pedestal; Hope you will like it!